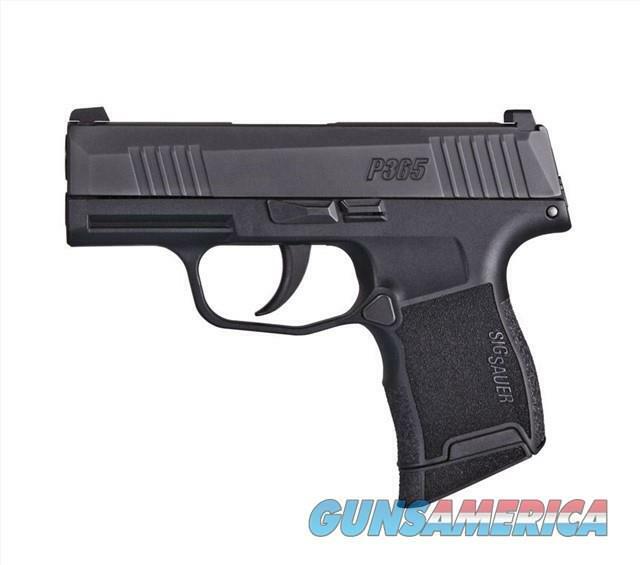 2019 Handgun of the Year: SIG Sauer P365 - In a class of its own - HIGH - CAPACITY MICRO-COMPACT PISTOL - CONCEAL & CARRY - Rated for +P 9mm Ammunition - SI3659BXR3 PRODUCT DETAILS : FAMILY:P365 Series - MODEL:P365 - TYPE: Semi-Auto Pistol - ACTION: Double Action Only - FINISH: Nitron® STOCK/FRAME: Steel Frame - STOCK/GRIPS: Black Polymer Grip - WEIGHT:17.8 oz.- CALIBER/GAUGE:9mm - CAPACITY:10 + 1 - # OF MAGS:2 - MAGAZINE DESC:(1)10 rd. Flush (1)10 rd. 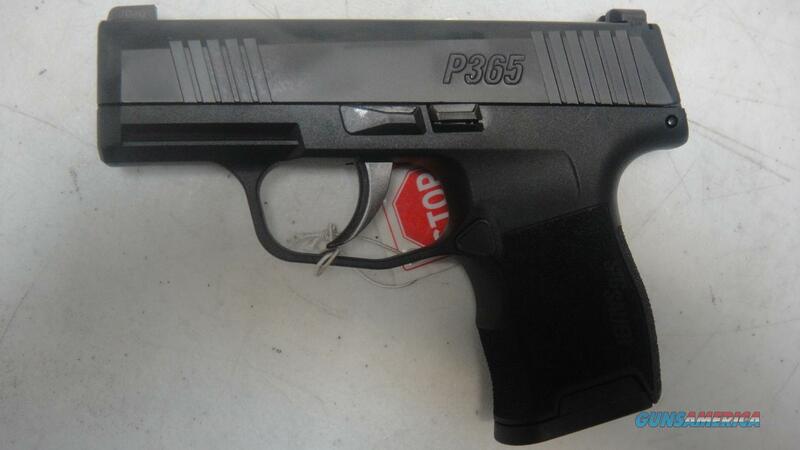 Ext - BARREL:3.1" - OVERALL LENGTH:5.8" - SIGHTS: Std. 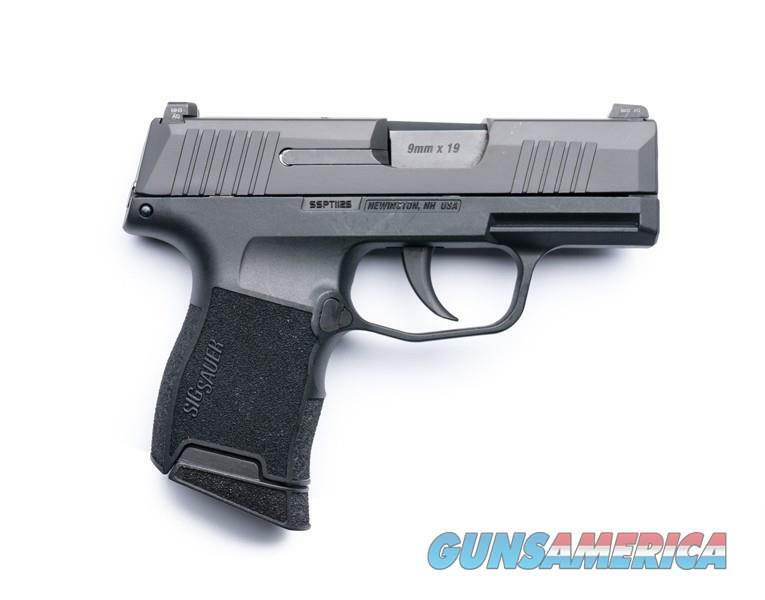 X-RAY 3 Day/Night Sights - ADDL INFO: Textured Polymer Grip Module - ADDL INFO: Double Stack Magazine ADDL INFO: Front Cocking Serrations. Before you bid make sure you can legally own a firearm and understand your state and local laws. Do not bid on this item if you cannot own it. Any return is subject to a 20% restocking fee. Payment and FFL are due within 7 days or we reserve the right to resell the item and will post you as a non-paying bidder. We accept Bank Certified Checks, USPS Money Orders, Visa and MasterCard. This listing is the Cash price. Please add 3% for credit card purchases. Shipping and handling fee are $35.00. Shipments to Alaska will be $70.00. There will be no sale to Hawaii, Puerto Rico or where prohibited. Any questions you can call Don at Two Rock Technologies LLC or email Don. Please visit all our offerings on Guns America. We are a Service-Disabled Veteran Owned Small Business (SDVOSB).